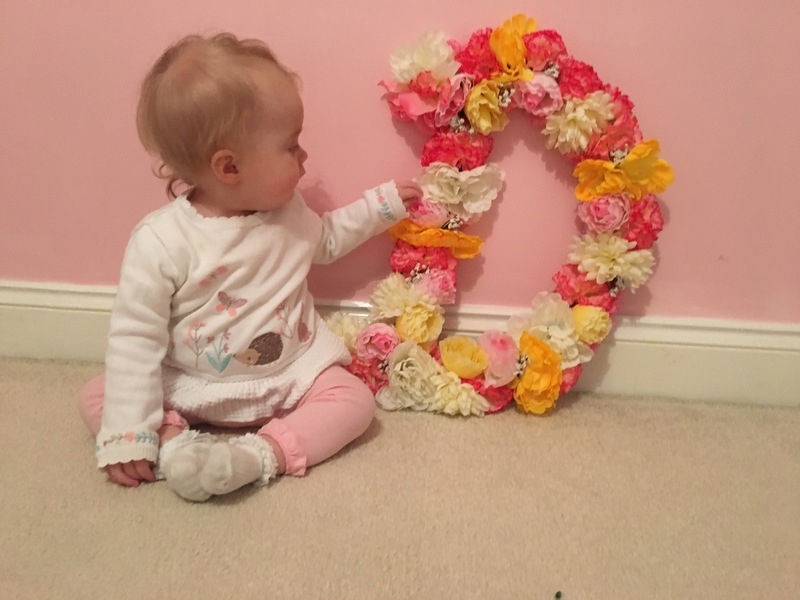 I’ve seen these giant flower letter on Pinterest nurseries and on sale on Etsy but it looked simple enough so I decided to make my own. A cardboard box or piece of cardboard big enough for the letter you want to make. 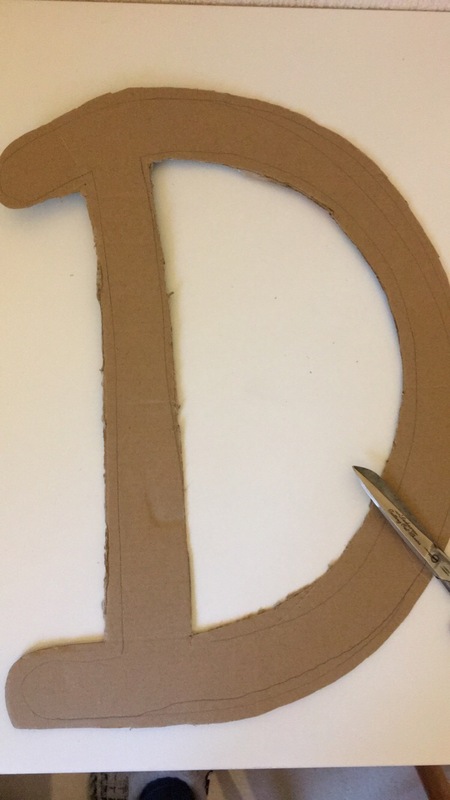 Start by drawing out your letter, I’ve seen templates for giant letters online but I think it’s pretty easy to do free hand. You need to draw it wide enough for the flowers to stick onto but not so wide that you have cardboard showing through. Mine was a couple of inches wide all the way around. Then cut out your letter, this doesn’t need to be neat, mine really wasn’t! 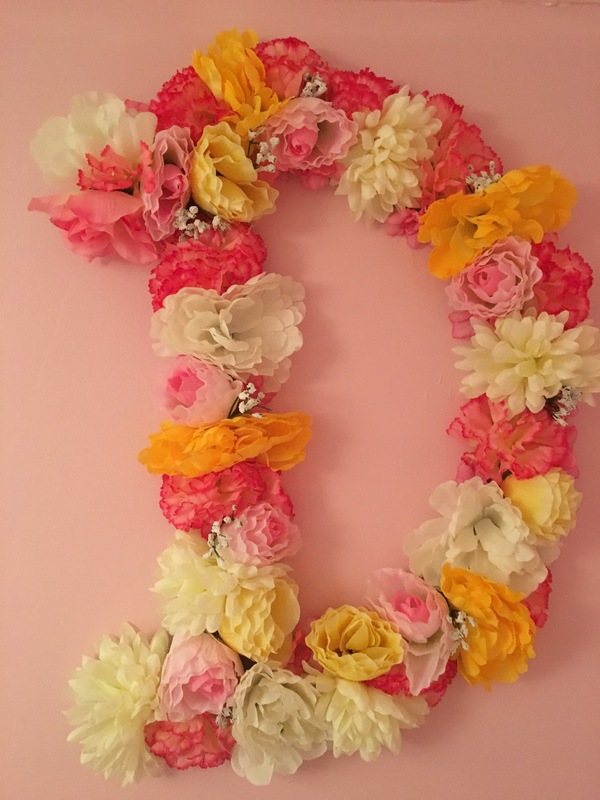 Once you have your letter all cut out you can heat up the glue gun and start sticking your flowers on. You could arrange them before hand or just wing it like I did. I like the way that mine aren’t in a particular pattern but just do whatever you think looks best. The flowers that I used had quite protrusive plastic stems on the back of them so I just cut these down so that the flowers didn’t stick too far out from the cardboard. 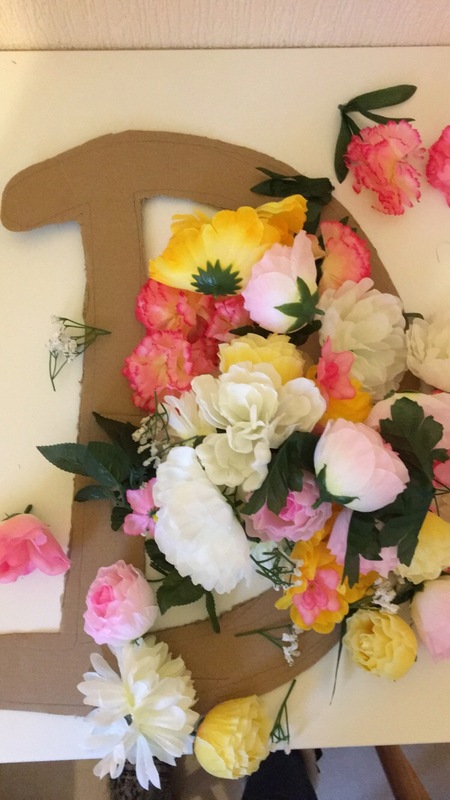 If you are using different sizes of flowers, stick down all the bigger ones first and then use the little ones to fill in the gaps and hide any cardboard edges that you can see. And that’s it! 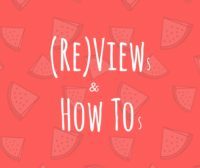 It’s a quick and easy DIY and I think it looks so much more impressive than the effort you have to put in, which is the best way for things to be in my opinion! I am going to try this – it looks brilliant! Thanks for sharing! Thank you 🙂 it’s so easy for how good it looks! This is really beautiful! I’m definitely going to give this a go, my daughter would love it!